Richmond pediatrician, Dr. Bob Archuleta, purchased the vibrant piece at a school auction and displayed it in the waiting room of his busy practice. Motivated by the daily compliments from patients, Dr. Archuleta decided that something more should be done with this inspiring piece of art. 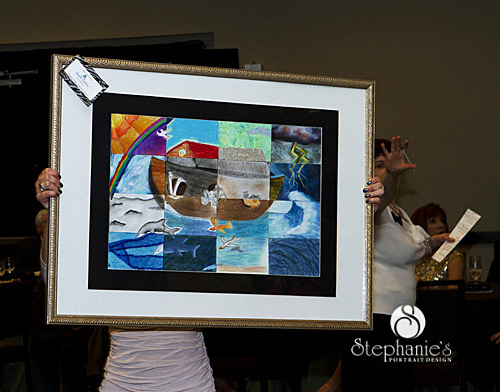 At a “meet the artists” gathering to celebrate the children’s creativity, Dr. Archuleta spoke with the children as he handed each of them a print of the original collage. He told them he liked the prints as much as the original and suggested that additional prints be made and sold in the community. He asked the children what they should do with any funds that might be raised. 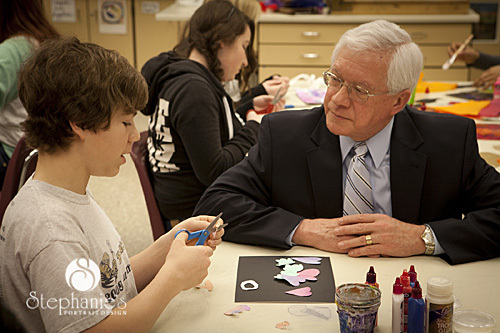 One child raised his hand and said the money should go to help “sick children” and another suggested “dying children.” Dr. Archuleta promised the children to do just that, and six months later Noah’s Children Hospice and Palliative Care was a licensed program. 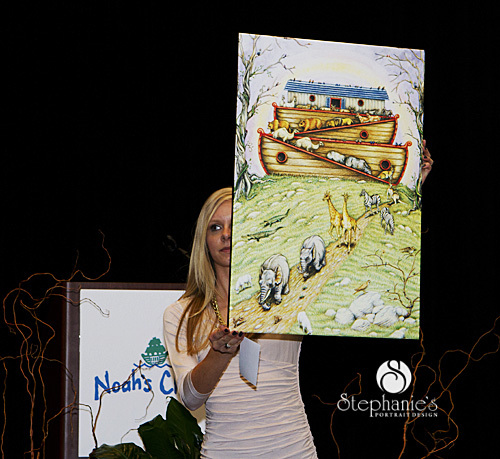 The inspiration of these children, and the absence of a pediatric hospice in the Richmond area, was the impetus to establish Noah’s Children. Today, Noah’s Children continues to serve a critical need as the first and only pediatric hospice and palliative care program in Central Virginia and one of the first in the United States. 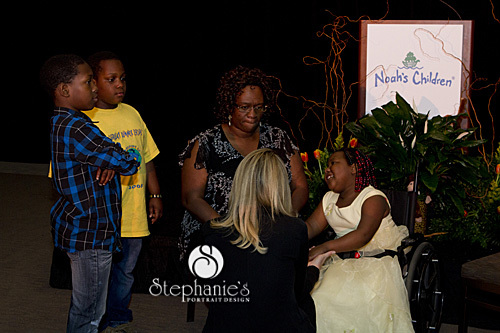 Jenna Bush Hager, Author, Contributing Correspondent to NBC’s Today Show and Chair of UNICEF’s Next Generation visited with Noah’s family and was the keynote speaker at the benefit. Her kind words about helping those in need were truly an inspiration. Dr. Archuleta is also wonderful. 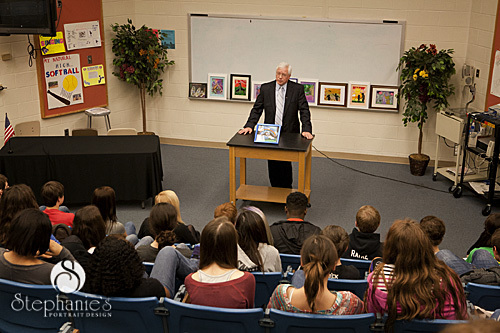 A couple weeks ago he visited with a few students and talked to them about their artwork for Noah’s Children. 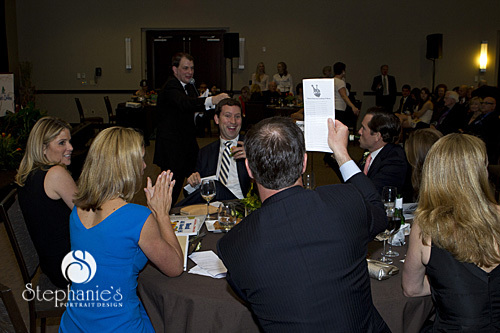 The live auction was a lot of fun. 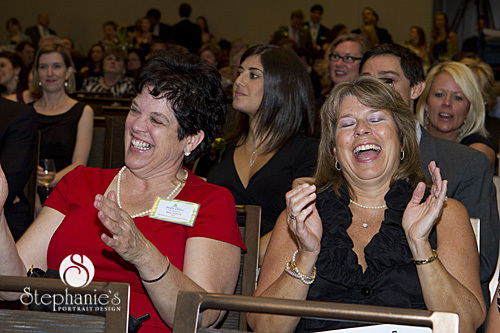 There was a little battle back and forth on a few items and the auctioneer was having the audience laughing hysterically. 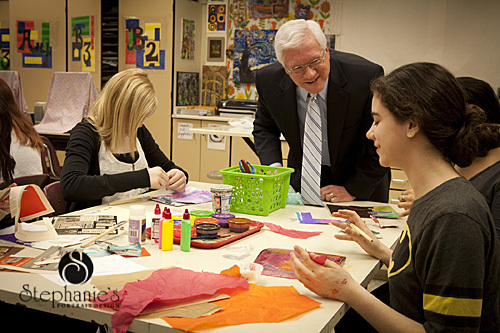 There were amazing works of art by the students. It was really beautiful. Thank you to all those who came out to support Noah’s Children and for all those who put the benefit on. 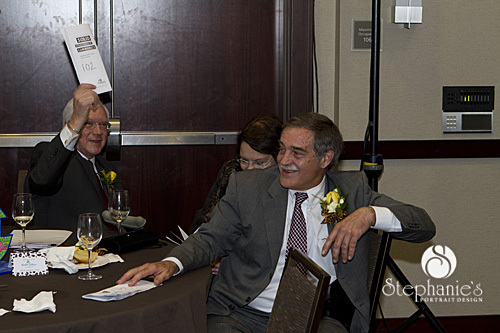 It was wonderful and I am so honored to have had the opportunity to share the evening with you. After a busy fall season, I really look forward to January when I can do a little catch up and maintenance around the office. 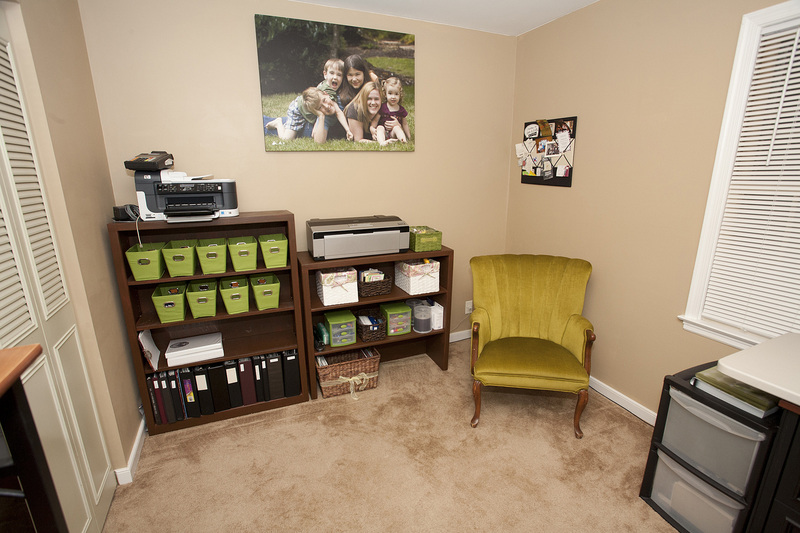 And since my husband had to go to Belgium to work for a few weeks, I had plenty of time on my hands to do a little office reorganization. My office has been in need of help for some time now. 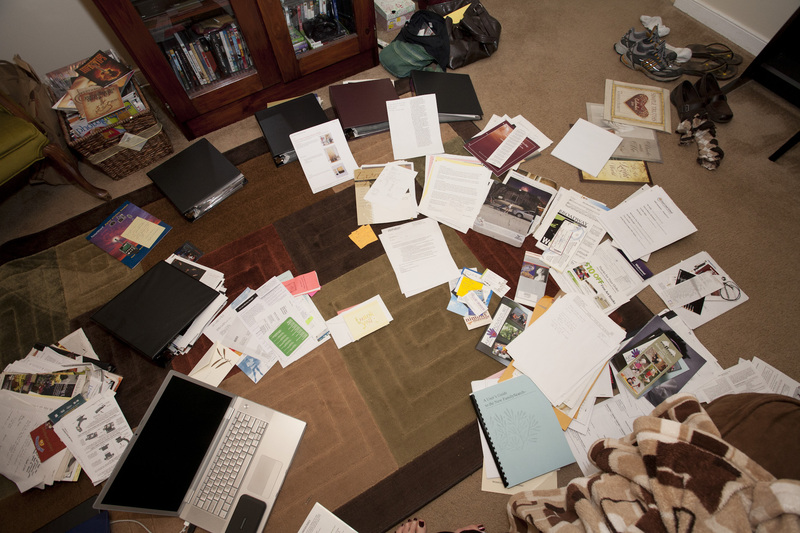 I will admit, I am not an organizational expert. I like to be organized, but I’m sure there are better ways to do things than what happens in my office. 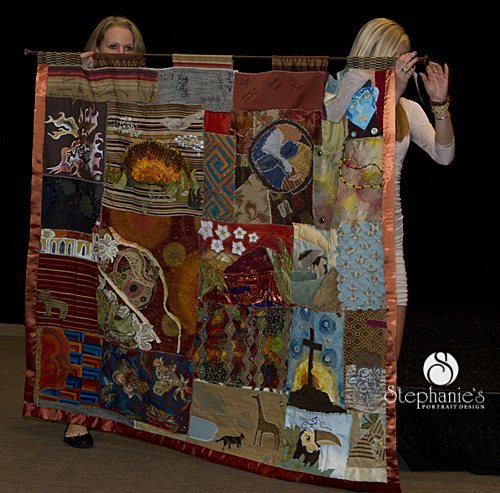 So when I met Christine Hanlon of Sage Organizing, a professional organizer, my life changed forever. And thanks to her, and I could not have done this without her, I have a much better organized space and am so happy and feel like working in my office now. Where we started. The office. 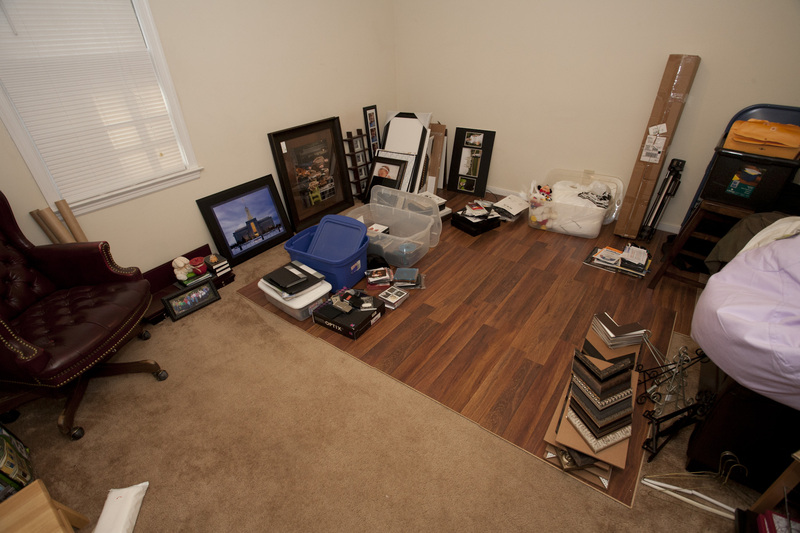 I started by taking everything out of the closets and off the floor and put it in piles on the studio floor. Christine recommended making piles made up of what things were being used for, e.g., in the office, in the studio, on location, use everyday, use occasionally, etc. I thought this was a great idea. One bonus of pulling everything out and making piles was that I could put things together in one place. I had some items that should go together stored in different places so it really made it hard to know what I had and where to find it. After I made the piles, I needed to go through some items and get rid of what I didn’t need or want any longer. I have been collecting things for over 8 years. The kitchen was full of recycle after this. 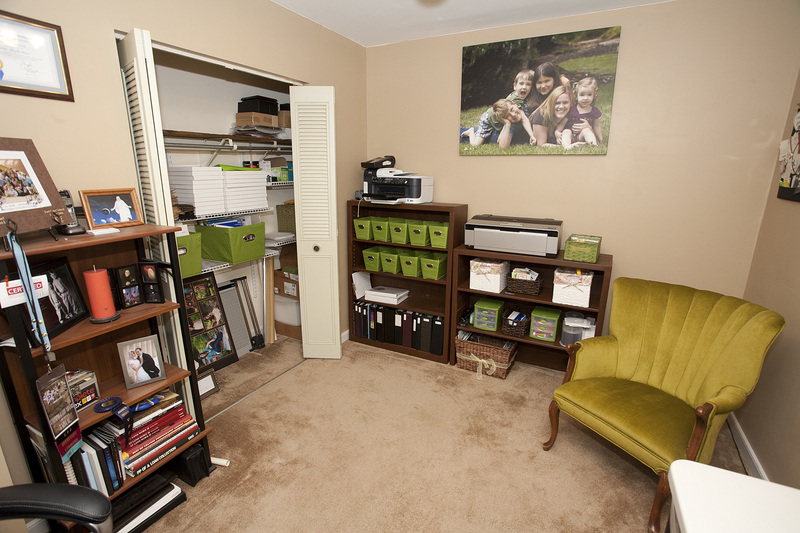 I was at a loss of what to do next and thanks to Christine we came up with the idea of putting in shelving in the closets to utilize the space better. Perfect! 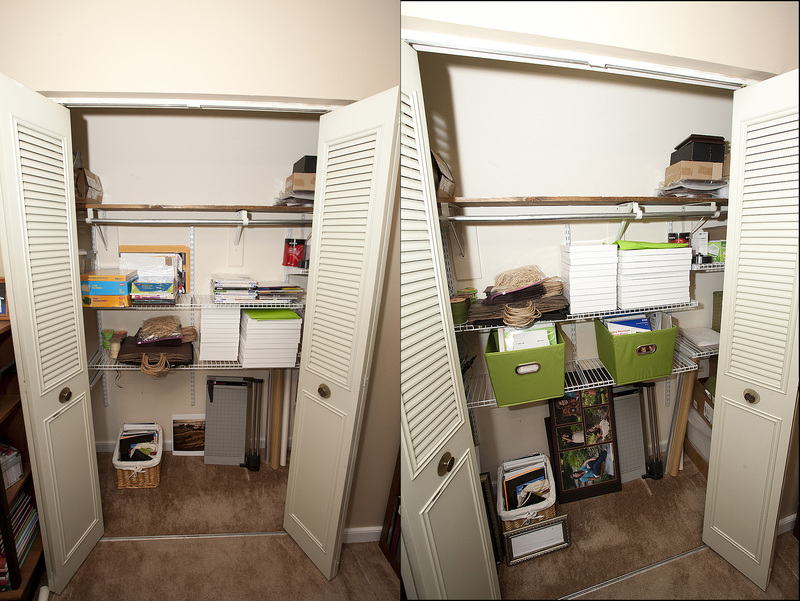 So after we made a trip to Lowes to design the closet space I installed the shelves and started putting things back. Once that was done, I again wasn’t sure what to do next. So I decided to rearrange the furniture. I wasn’t sure how it would work so I tried this arrangement for a week or so. I wasn’t loving it so I decided to make some changes, again. I also wanted to organize a little more on a small scale so I picked up a few great baskets at Home Goods and Target. It made a huge difference! It is important to note that there are adjustments going on the entire time I’m doing this. Sometimes I feel like I have to make a decision and stick with it, but in this case I needed to try one arrangement and adjust as necessary. The more I worked in the space, the more I could see solutions to the issues. 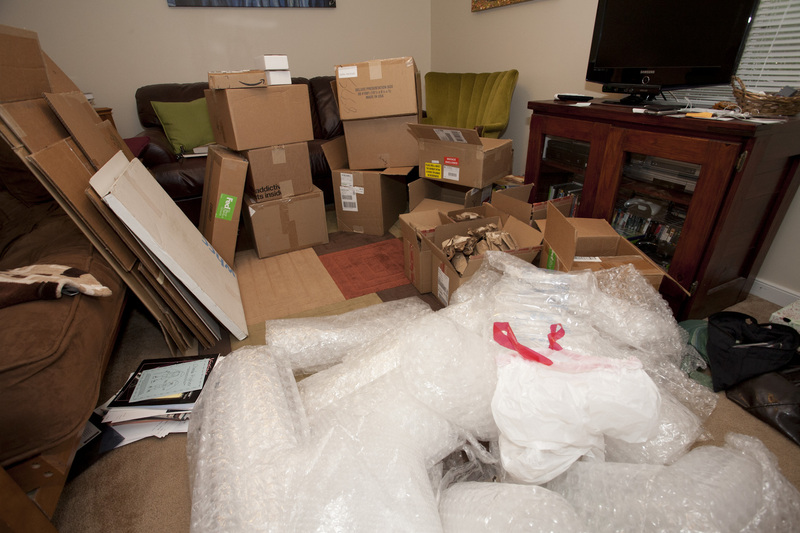 Then I had to tackle the ever growing pile of boxes and bubble wrap. I have been keeping boxes and bubble wrap for years. I just never know when I’m going to need to ship a box. So after many years of storing these things all over the house I pulled them all out, kept a few, and got rid of the extra. Some friends of ours are moving so the extra boxes and bubble wrap came in handy for them. 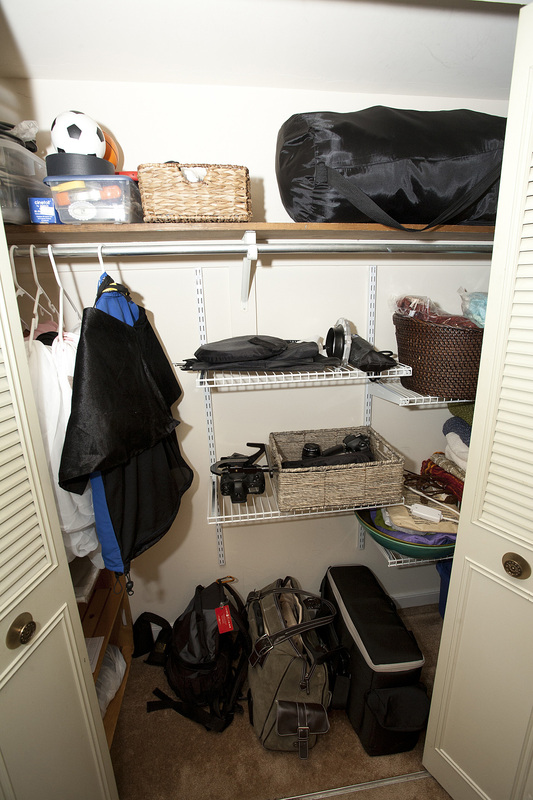 Here is the studio closet which is much more functional. And there are still a few things to take care of but my husband was out of the country and I needed some help with the rest. 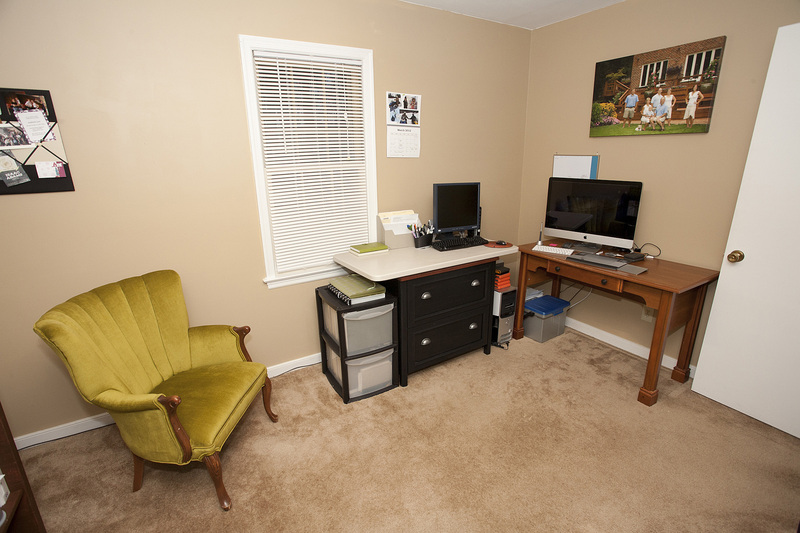 So here we have the final, achem mostly there but still open to adjustments, office space. I am planning on putting more art up on the walls. So that will be fun. I’m loving my space now. It is so much nicer to work in a clean, organized office. 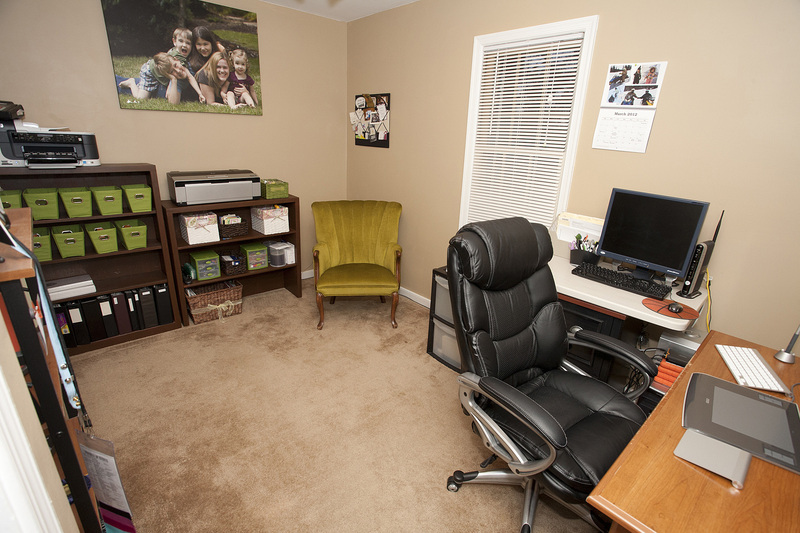 I will admit I almost painted the walls and would have loved to paint/purchase new office furniture. But I was pretty much done organizing by the time I finished so that will have to wait for another round. 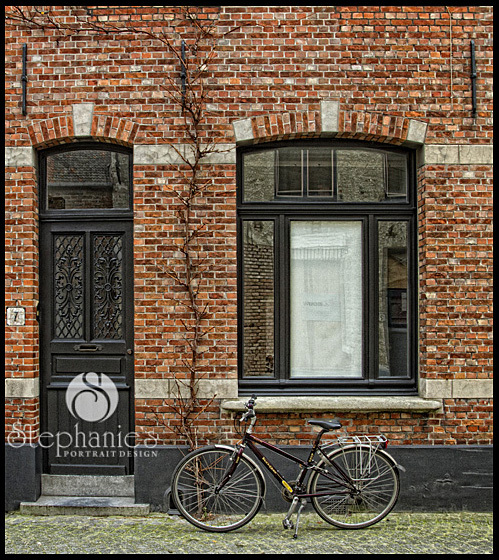 I love Brugge! 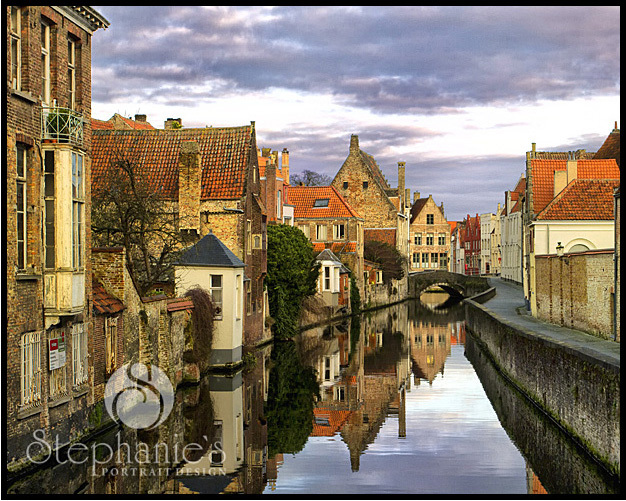 (Just a note, I am using the Flemish spelling of Brugge over the French spelling of Bruges.) 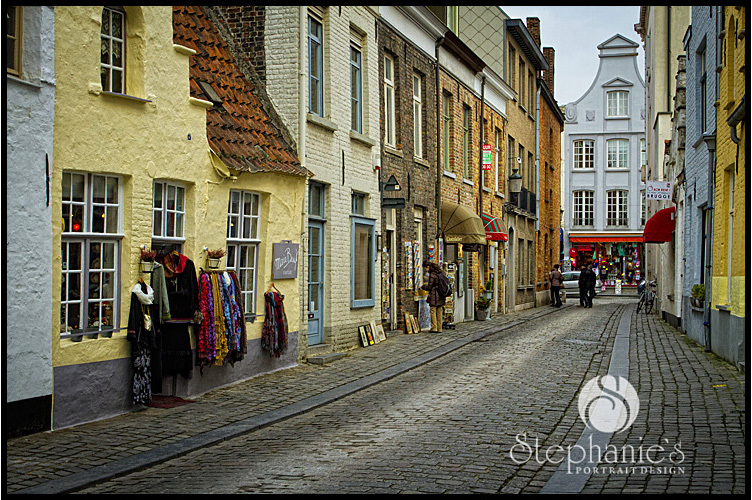 This quaint little town near the west coast of Belgium is just an hour train ride from Brussels. And a bonus of being in Belgium in January is that you can buy a shopping ticket and take the train to any where in Belgium for only 10 euros. The shopping ticket is good for a there and back trip on Saturday or Sunday in January and February. So I took a little day trip to Brugge. I really enjoyed walking around and just taking in the sights. 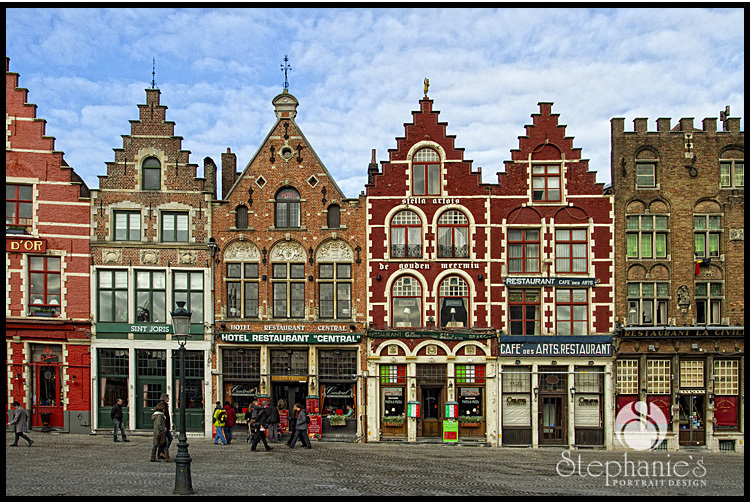 The architecture in Brugge is incredible. I wandered through the streets. 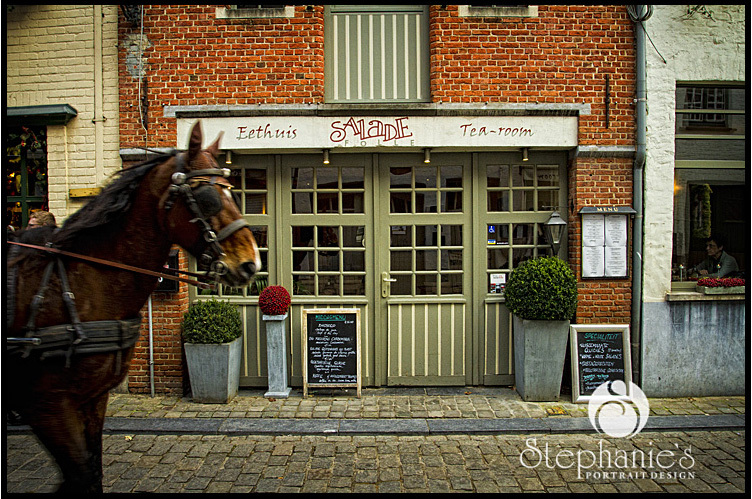 Horses were pulling carriage rides. 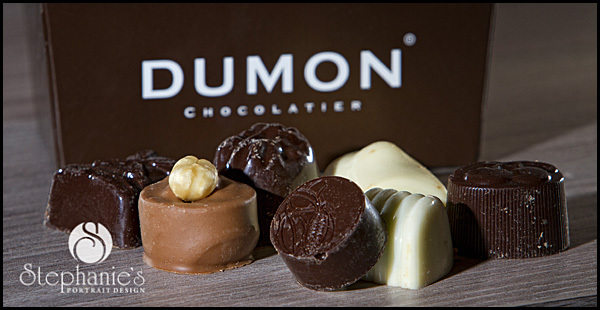 I read in a guide book about Dumon, a divine Chocolatier. I found a little store and purchased a small box of chocolates. I wish I would have bought a bigger box. Wow! These chocolates were so smooth and creamy. I really savored these little chocolates. I stopped to eat some frites (fries) for lunch. They were nice and hot and crispy. The key to these delicious crispy fries is the double frying. Nicely done, nicely done. 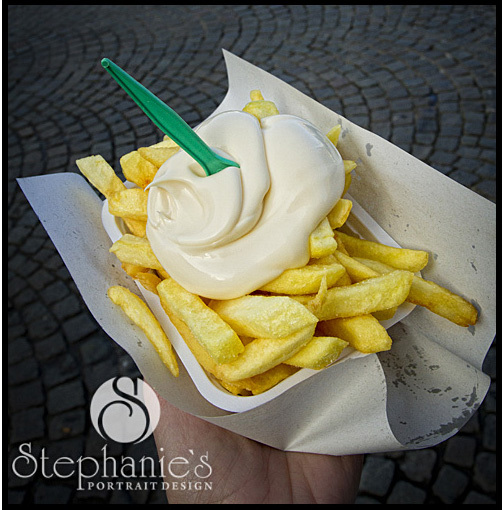 Belgians eat their frites with mayonnaise. I’m not really a mayonnaise fan, but since I was there, I thought, why not give it a try. The mayo was more tangy than I have tasted at home, but I still don’t think I’m running in the mayonnaise direction. The frites were good. 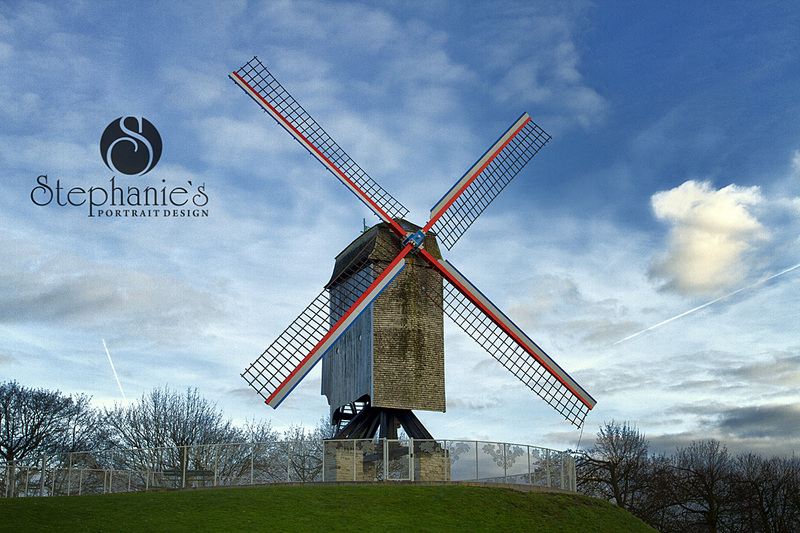 On the east side of town there are a few beautiful windmills. 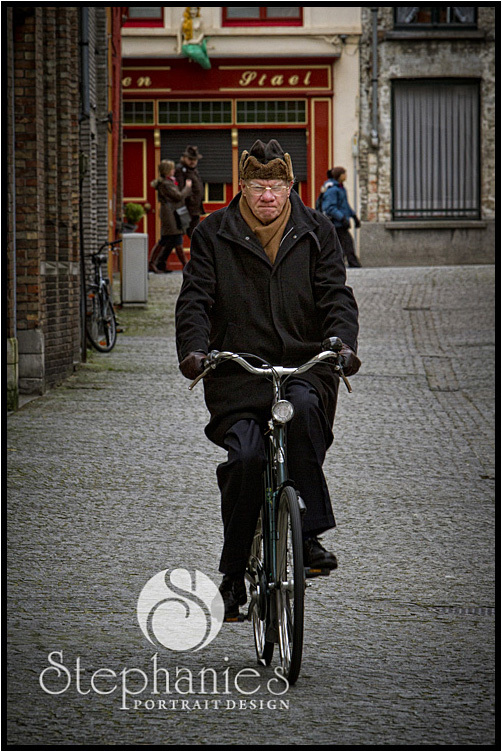 I love that so many people ride their bikes. Winter, rain, morning, night, it was great. I started a tradition a few years ago when I bought a children’s book in Italian while I was in Italy, I Tre Porcillini (The Three Little Pigs). Isaac and I really love to read and while we don’t have children yet, we still love children’s books and we are very excited to read to our children one day. We also love languages so we like to buy children’s book from the places we travel and in the language of that country. I found a fantastic bookshop in Brugge and I knew I wanted to get books in Flemish and in French. This bookshop offered many choices and so instead of purchasing one book in each language I ended up with a few. Suske en Wiske by Willy Vandersteen is a comic that originated in Brugge so I bought one of those comics in Dutch. The American version of this comic was Willy and Wanda. I also bought a comic of Tin Tin by Hergé in French. Hergé was from Brussels and the original Tin Tin comics were in French. I also bought a book by a local author and illustrator. 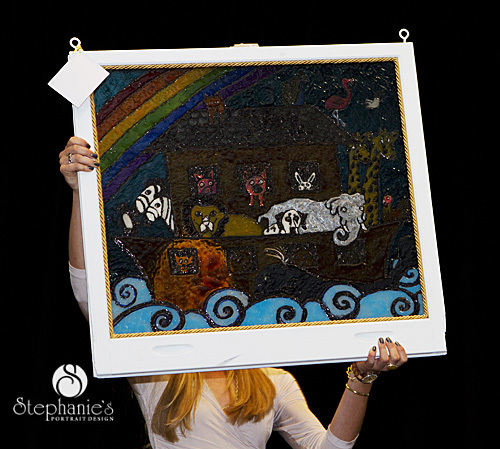 She really has creative illustrations made with different types of materials. When I can find them, I like to purchase books that can also be found in English in the United States. So I bought Karel (Kevin in the US) by Liesbet Slegers from Belgium. And one last find back in Brussels was a Winnie the Pooh book in French. I know, I got a little carried away in my book purchases, but I am really excited to add them to our collection. 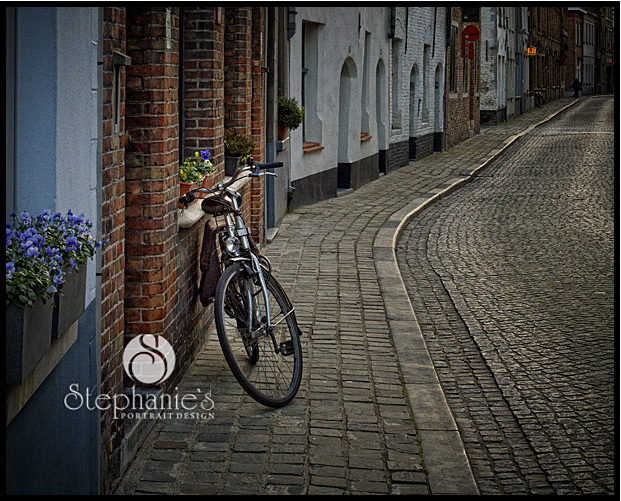 I loved walking through the streets on the north side of town. I kept close to the canal and loved what I saw as the sun was setting. 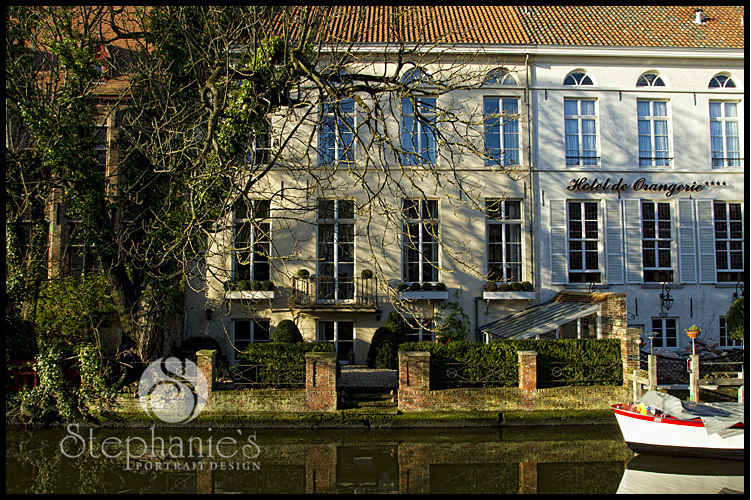 I really enjoyed all the canals in this beautiful place. I wish I could have stayed longer. 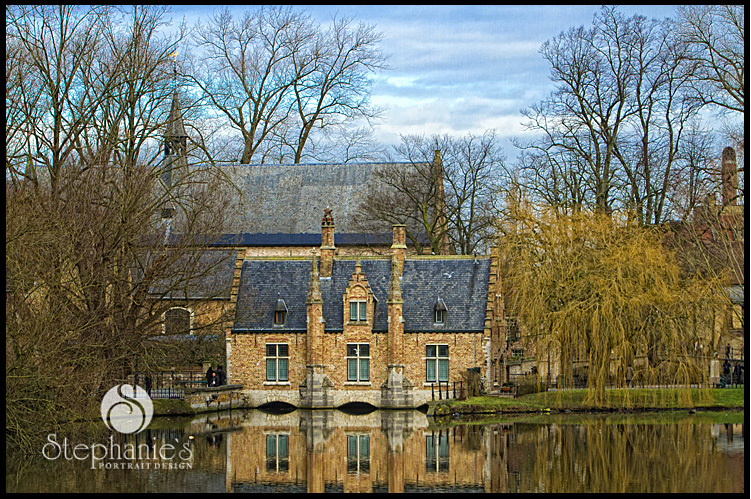 I definitely must go back to Brugge. One of my favorite places to visit. View more fine art on my website. Each year at the end of February the Virginia Professional Photographers Association (VPPA) holds an annual print competition and convention. 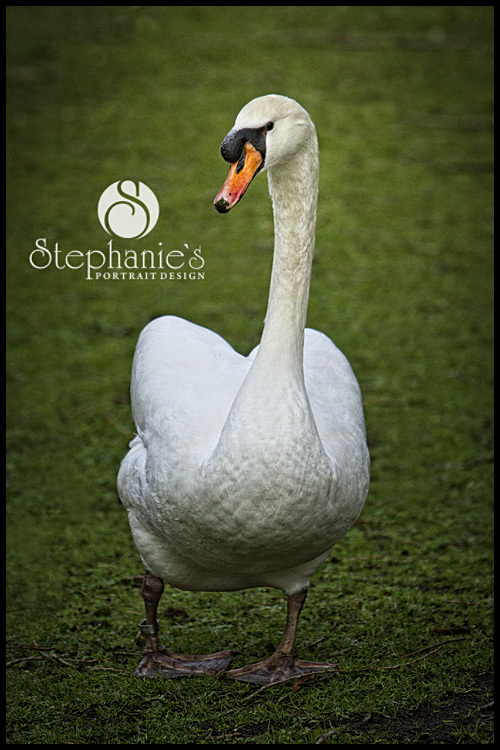 I always enjoy visiting with friends from around the state, seeing the work they have created, and learning new things about how to better my business and my images. There were a lot of incredible images in competition this year. I learn so much from entering print competition and my work has improved over the years because of competition. I am honored this year to receive Best in Show and a Kodak Gallery Award for Morning Frost, an image I created while we were visiting family for Christmas in Wyoming. 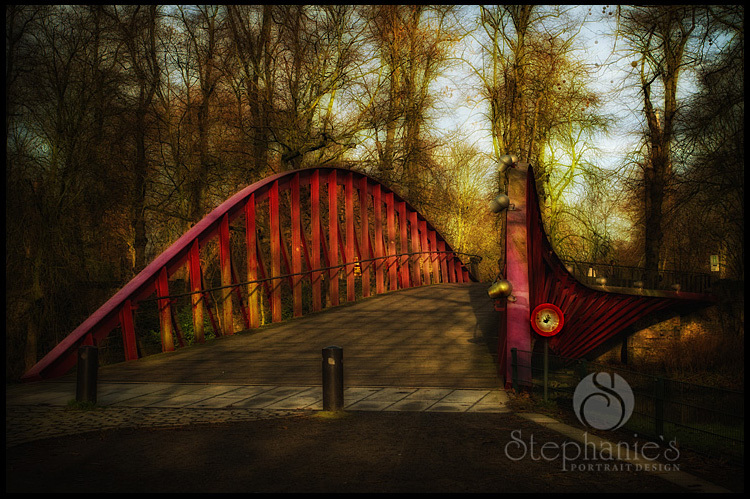 My dear husband was so good to go out with me early in the morning in sub zero temperatures to create this image. It was an incredible competition and along with everything else, I am also honored to be awarded Photographer of the Year. Thank you to all the wonderful people who support and encourage me to continue improving my craft constantly.